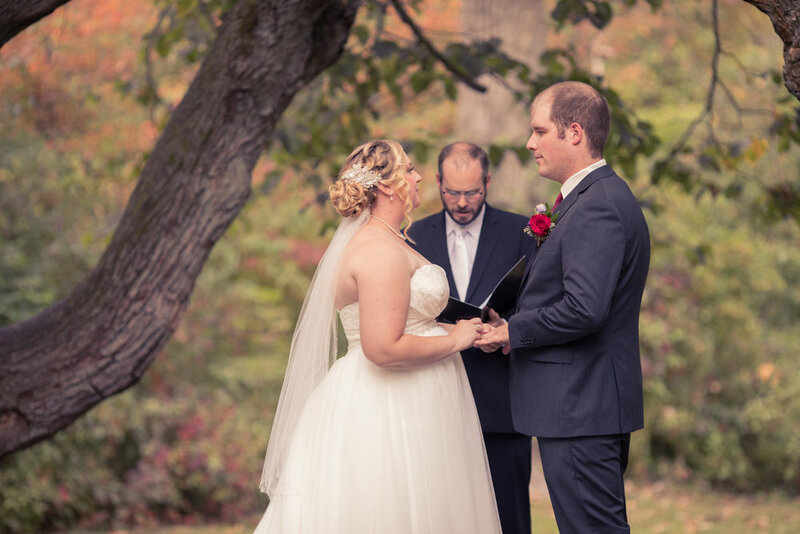 Their ceremony was at Coldstream Conservation Area + their reception was at Coldstream Community Centre. Our caterers BBQ Feast were amazing! 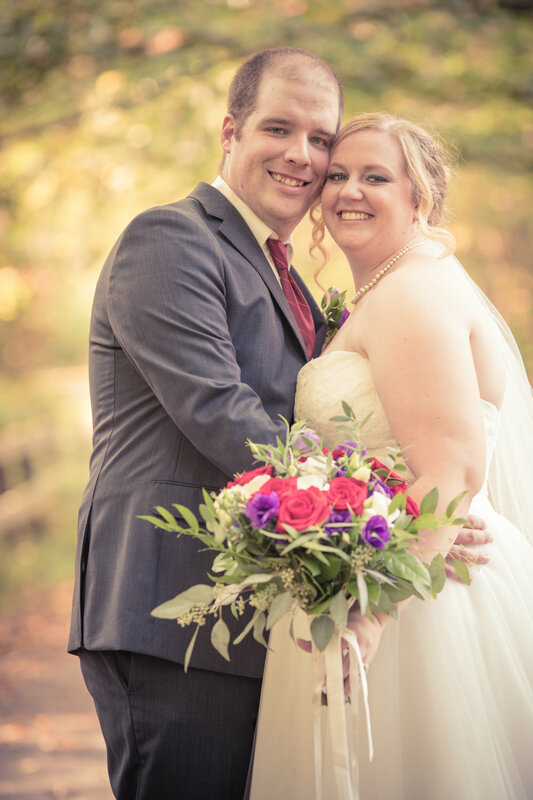 Latte productions did a beautiful job capturing our day and got so many pictures. We did a lot of our own decorations with the help of our parents, family, and family friends. Our DJ was a family friend who did a great job keeping everyone on the dance floor. Our florists from Bloomingdale's did an amazing job incorporating purple and red flowers into our bouquets and centerpieces. We had one of our uncle's bake the desserts which were a huge hit! Jamie and I helped bake some the desserts as well which was a lot of fun. We loved being able to have the first look before the ceremony, it helped us calm our nerves and give us a chance to have a special moment just the two of us. 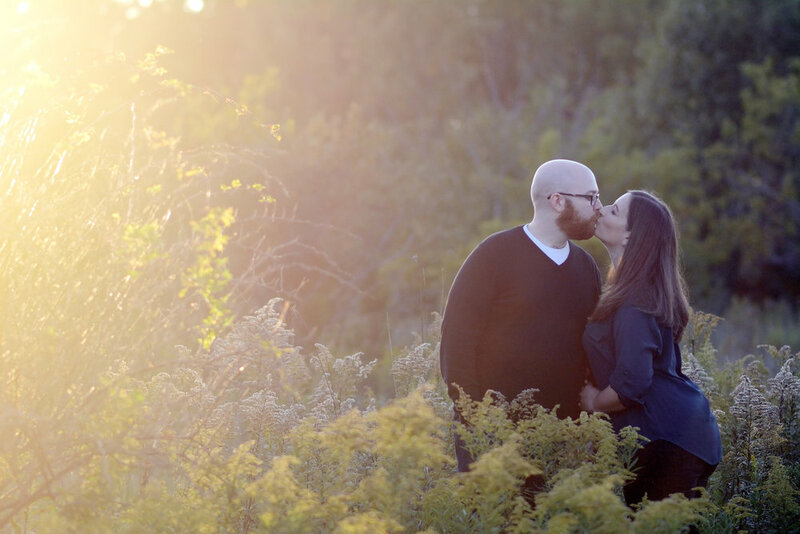 We met as orientation leaders and have been together 5 years, we got married close to our 5 year anniversary (a day earlier). Jamie's: I really enjoyed hearing all the speeches, it was nice to be able to look back while also looking forward to our new life together. What did your husband think of your dress? I was speechless when I was finally able to see Heather in her dress at our first look. She was absolutely beautiful and it was a great look on her. 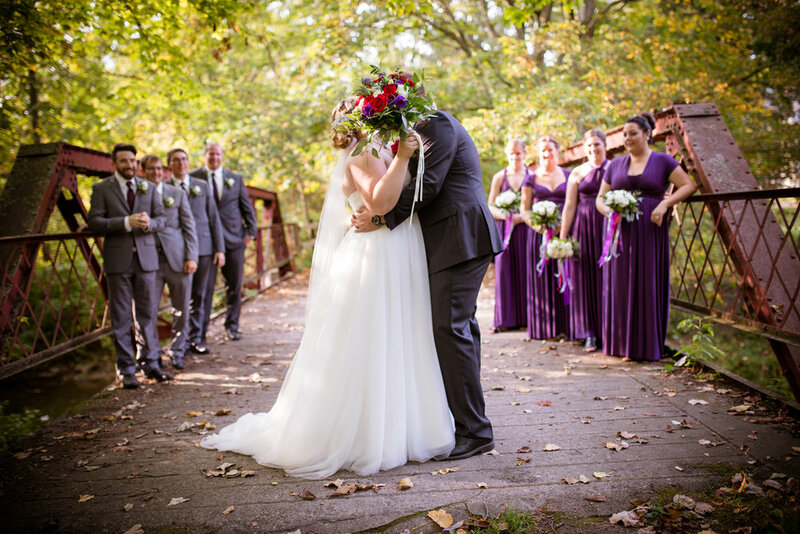 Our February Real Bride series comes to an end today and we can't believe it! 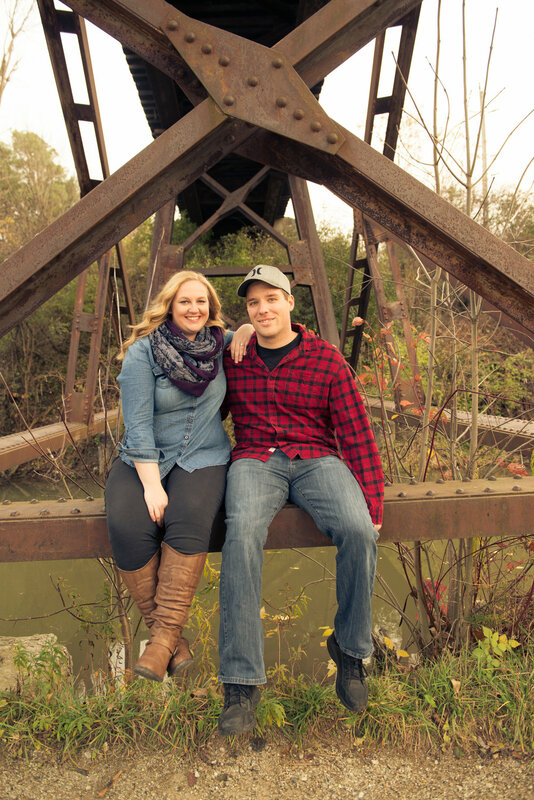 Celine and Nate Stasiuk got married on September 9th, 2017 at Forest Legion and we are excited to show you all some of their favourite memories from that day including a peak at Celine's bridesmaid's dresses that were also found here at Once Upon A Time Weddings! Thanks for sharing your day with us Celine and Nate! Celine (Bride) | "Seeing the emotion in Nates eyes when I finally got up to him, it looked like he was about to burst into tears and while reading his vows, he got chocked up and lost it." Nate (Groom) | "When she was walking down the aisle with her dad, she looked like a princess." Gown and Blush Maids dresses from Once Upon A Time Weddings. "Lynette, our photographer from Lolaz Snaps. Jennifer, from Vintage Grace Handmade accessories. Anna, from Devorah Beauty. Our driver Bob, from Dorchester Limousine." 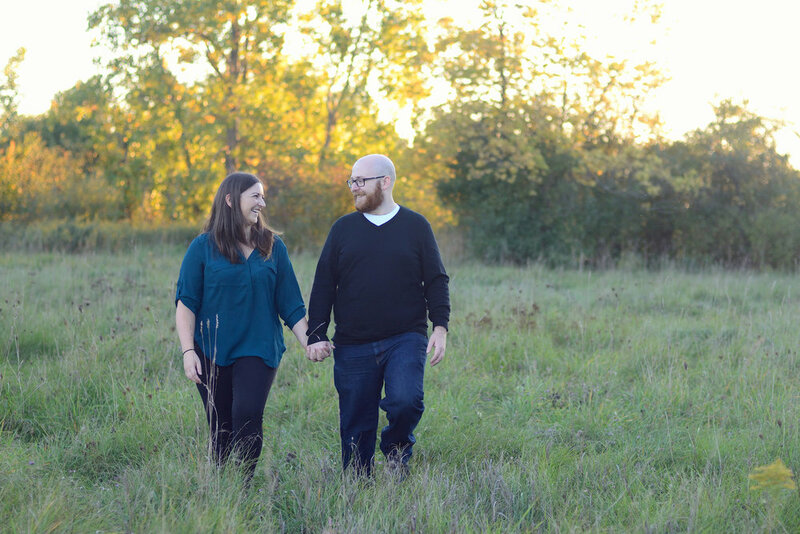 "When we met at the party 11 years ago, I was instantly attracted to him like it was love at first sight. Me and a friend got into his car to go up to the store, and when he looked at me, he immediately smiled and blushed away all coy like. That is why I started off my vows with, "When I saw you I fell in love, and you smiled because you knew." 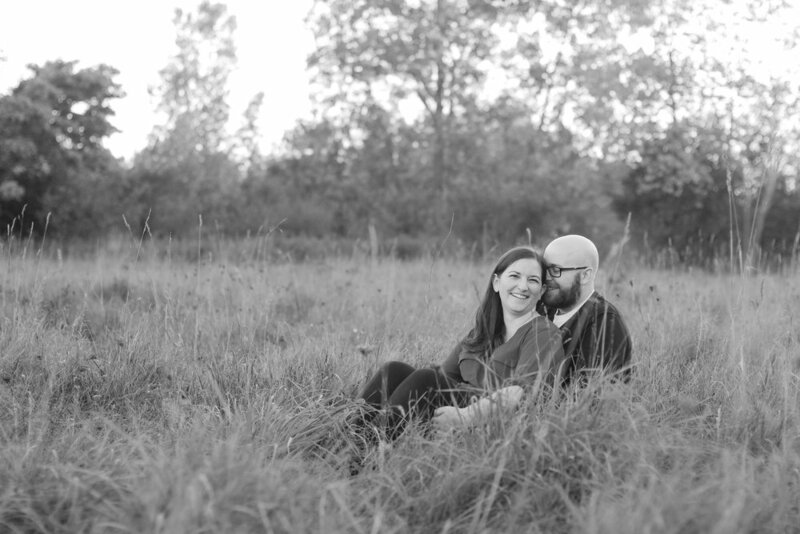 In his vows, he also referred to love at first sight upon meeting me, and how he knew I was something special." 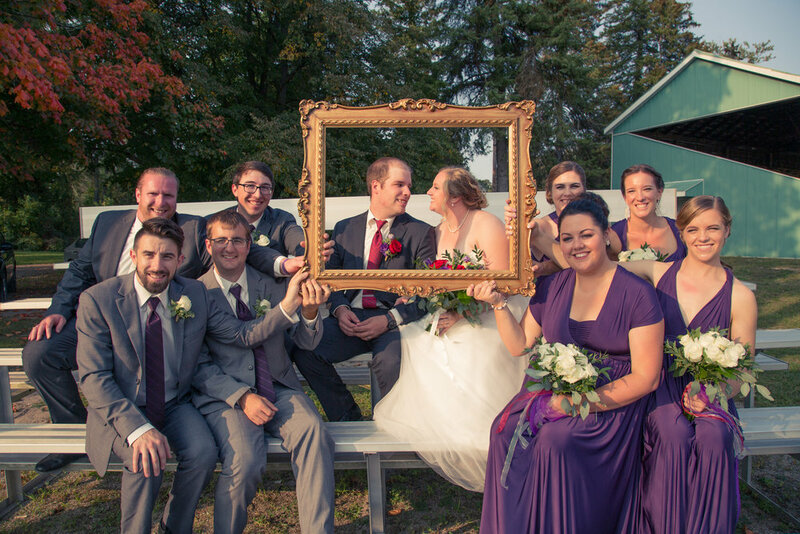 One of our favourite things about Celine + Nate's wedding was all the DIY touches. 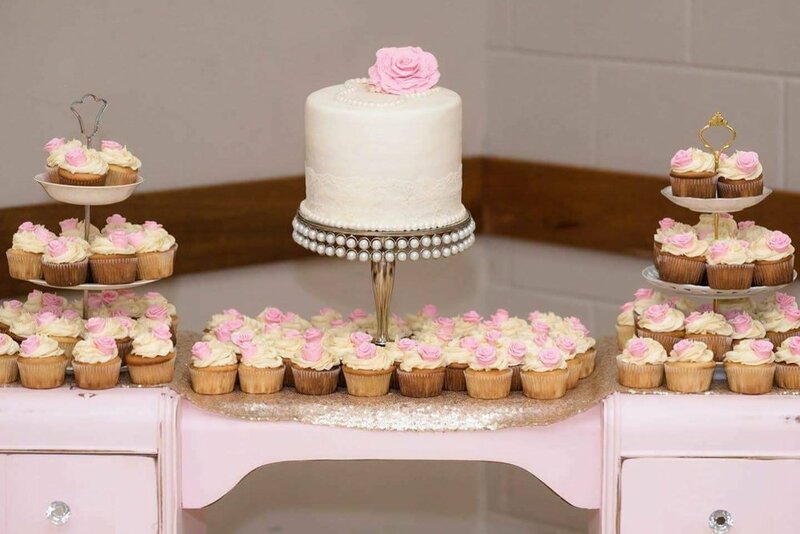 Her attention to all the little details shined through on her wedding day and we adore it. 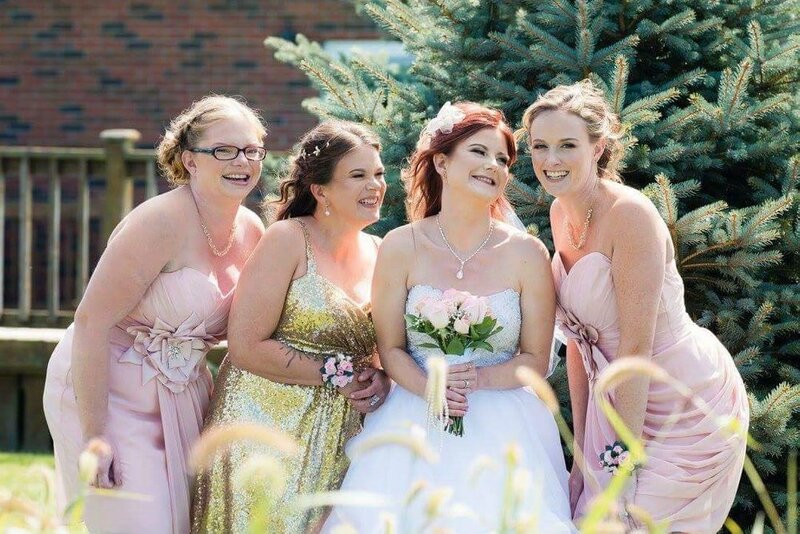 If you purchased your dress with us at Once Upon A Time Weddings and are interested in being featured on our blog, email us at info@onceuponatimeweddings.ca! Maybe you're just starting your wedding dress search - we'd love to help you find your dream gown! Book your experience with us here.